Millennials seem to be moving out of Mom and Dad’s house—and it is about time! A stronger job market and wage gains have helped urge these young people out of their parents’ homes. Despite this, many millennials don’t understand how to manage their money. 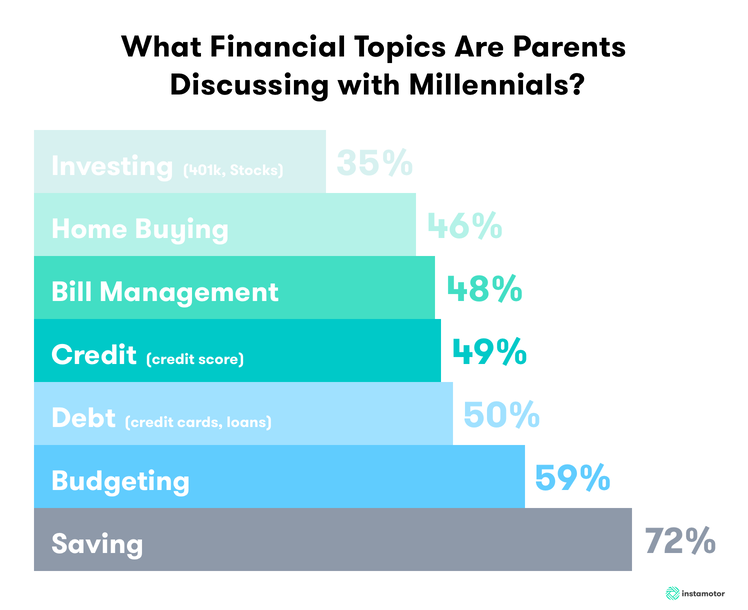 Before your child leave the nest, what financial topics should you discuss? Many in my generation are entering adulthood “facing [different] financial challenges that their parents did not as young adults.” Millennials owe the most in student debt, totaling to over $1.5 trillion as a generation. Additionally, they earn 20% less than baby boomers when they were the same age. Student loans can seem impossible to tackle, but understanding your student loan situation early can help you keep your debt at bay. Using an income driven repayment plan is a good option for millennials who are just starting out in lower earning jobs. Also, many student loan vendors have in-house financial advisors that you can have one on one conversations with to explain anything that is still confusing. Being realistic with what you can afford is hard advice, but it is worth listening to. According to the Financial Well Being Index, millennials have been known to spend up to “24% of their budgets on restaurant food.” Simple things like eating at home and skipping a few nights out on the town, can make all the difference. In my experience, making a detailed list that includes all your expenses, your income, and tracking additional spending can help you visualize what you’re working with. Budgeting this way can help you eliminate wasteful spending and set a savings calendar to reach your goals. Saving is very important at any age and any income. Financial experts advise to aim to save around 15% of your income, to put you on the right path. Unfortunately, most of these topics aren’t covered in school—this outline is just the bare minimum of financial knowledge a young person needs to know to get ahead. In order to move out of your parent’s home and move in to a new adult life style, millennials have to understand personal financing as adults. Check out our conversation on this topic and share this with a millennial in your life!